Guys, somebody stole my laptop last night! To cheer myself up I am listening to mad tween pop. Join me, won’t you? You’re so right, Ms. Montana. Life is what I make it. I shouldn’t let no small frustrations bring me down. I feel better already! For this Music Monday, I bring you one of my favorite Hannah Montana songs. (Yes, I have multiple favorite Hannah Montana songs.) Plus, it has a title very similar to the Selena Gomez song I posted last week! How clever I am. Oh my, how different these two are in appearance! For those of you desperately far from the tween music scene–Hannah Montana is the alter ego of Miley Cyrus on the show Hannah Montana. 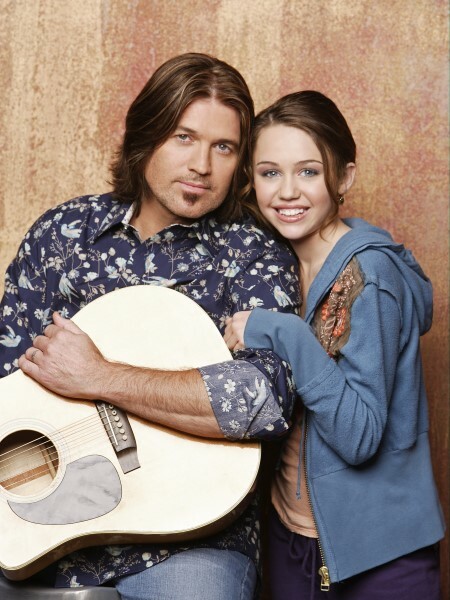 The premise of the show was that young Miley went to a normal high school and had normal teen girl problems, but also she was secretly a very famous pop star called Hannah Montana. Miley is a brunette and Hannah wears a blonde wig. The best part of the show, of course, was that Miley’s dad Billy Ray Cyrus played her dad, Robbie Ray Stewart. The show is no longer on the air, but it did give the world the Hannah Montana movie. 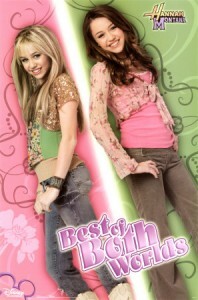 And the Hannah Montana movie gave us Tyra Banks having a shoe fight with Hannah Montana. I looked hard on YouTube for a video that didn’t start off with “I’m more than just you’re average girl” but they all appear to have it. (Or are live performances, which I didn’t want to use.) Whatever, who said I need to know how apostrophes work? It’s a good song to workout or dance to. Or to fly to. I mean, who said you can’t be Superman? Besides DC’s lawyers I suppose.